The whole square panels for walls and ceilings TALOS CONCEPT help reduce reverberation and create attractive and comfortable public spaces. When manufactured in different thicknesses, provide design and create endless harmonic surface textures where comfort and aesthetics are essential. RONDA CONCEPT acoustic panels are designed to control environmental noise providing functionality, aesthetics and acoustic comfort. Apart from these qualities, these panels provide the walls that support color and texture. DUALO CONCEPT are absorbent and decorative panels in two colors, arranged horizontally or vertically. 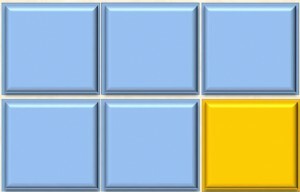 These two colors are combined in a ratio of 1:2. Tissues that coated, front and sides are pure wool, and connected seamlessly between them, using a padded stitching. BAND CONCEPT is absorbent and decorative panels two colors. 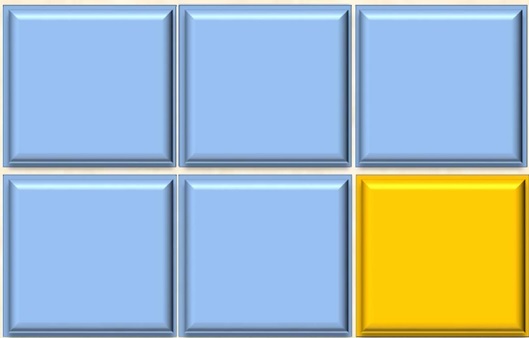 The only color panel is broken by a vertical color strip six centimeters wide. The front and sides of the panels are completely covered by a pure virgin wool fabric powered by band design. The seams of the tissues on the surface and edges are high quality. 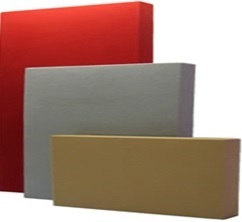 CR – 101 are an absorbent panels specially designed for absorbing low, middle and high frequencies in order to meet the most demanding applications such as recording studios, radio booths, TV, dubbing studios, home cinema, meeting needs hearing, etc… It is a panel highly effective in the range of low, medium and high, frequencies of the sound spectrum. The composition of the absorbent panels CR – 101 is designed to absorb background noise in walls and ceilings, thus reducing the reflected power at the point of hearing, negating to some extent, the resonant effect of the room. CROXON ZERO is a circular panel with an absorbent core polyester fiber, structure and scope of the same material, covered with an acoustic and high quality decorative fabric. Beautifully designed to be installed on walls in both large and small room. CROXON ZERO panel has a simple decorative expression that matches all kinds of environments without any problems regarding the style of furniture. CROXON BAFLOX acoustic baffle is a based polyester fiber, white, absorbent and treated, like edges, uncoated. These suspended baffles absorb and reduce sound reflections about acoustically tolerable levels. They are provided with their corresponding metal fittings to the ceiling with suspension cables. These advantages, together with its simplicity and competitive price, easy accessibility. The TANGO modular ceilings are manufactured from polyester fiber and covered with acoustic fabric for a face side and excellent sound absorption. Designed to be installed in conventional grid systems view. The technology developed by Croxon helps build acoustic fabrics and hot-melt polyester fiber, no adhesives or chemicals. Modular acoustic ceilings manufactured by Croxon are 100% recyclable. SIMPLY acoustic ceiling is designed to be a simple, competitive and affordable solution for almost all applications in removable ceilings. SIMPLY ceiling tiles are a new generation of modular acoustic ceilings. Are made of polyester fibers, noble safe and are designed for high absorption and a balanced acoustic design. The absorbent ceiling panels. SIMPLY are available in a range of standard sizes and normal edges to fit standard suspended grid systems and easy to install.